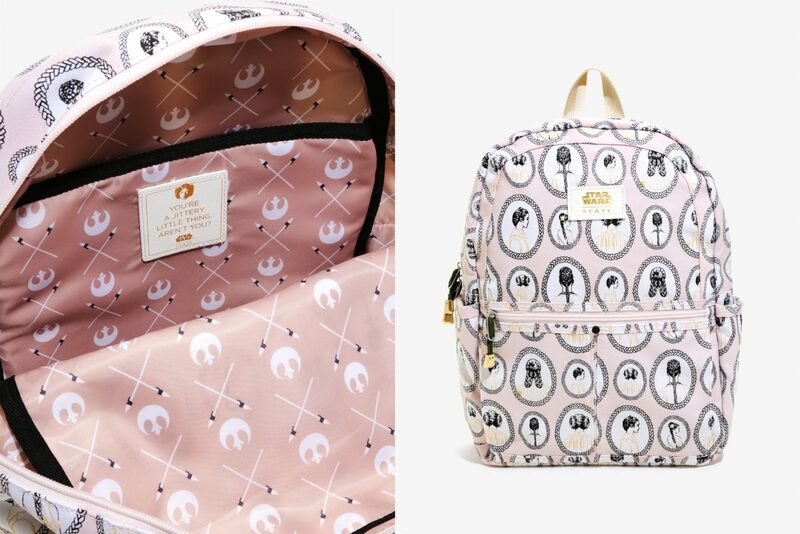 This gorgeous State x Star Wars Princess Leia backpack is now available at Box Lunch. 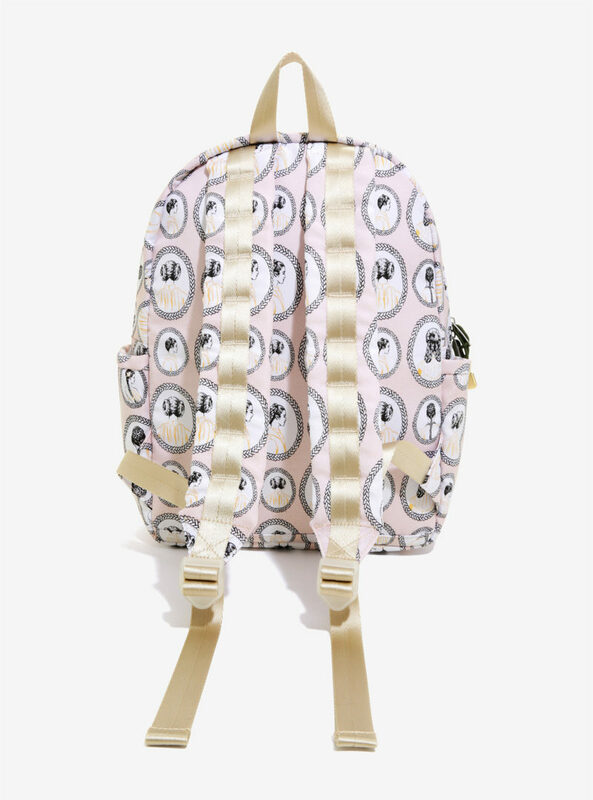 Made from pale pink canvas, the Kane style backpack from State features an allover print of Princess Leia artwork. 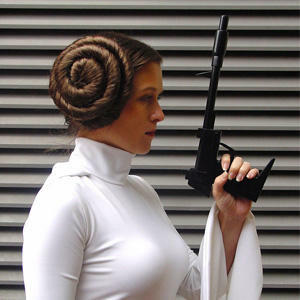 The design includes many of Princess Leia’s different outfits/hairstyles from the Original Trilogy, in a cameo style with borders reminiscent of her braids that she wears throughout the films. 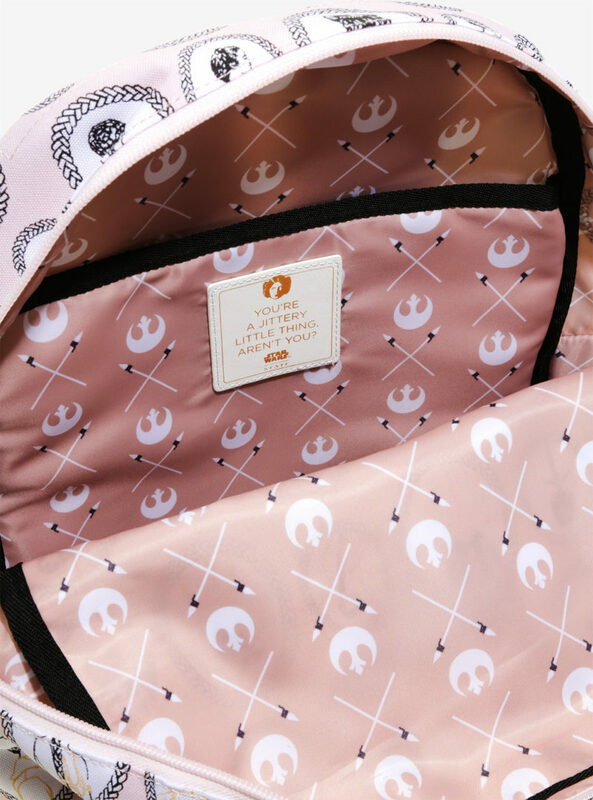 Inside, the backpack is lined with pink printed lining fabric that features the Rebel Alliance symbol, and 2 crossed ewok spears – the sewn plaque features Princess Leia’s line to Wicket from Return Of The Jedi – “You’re A Jittery Little Thing, Aren’t You?”. 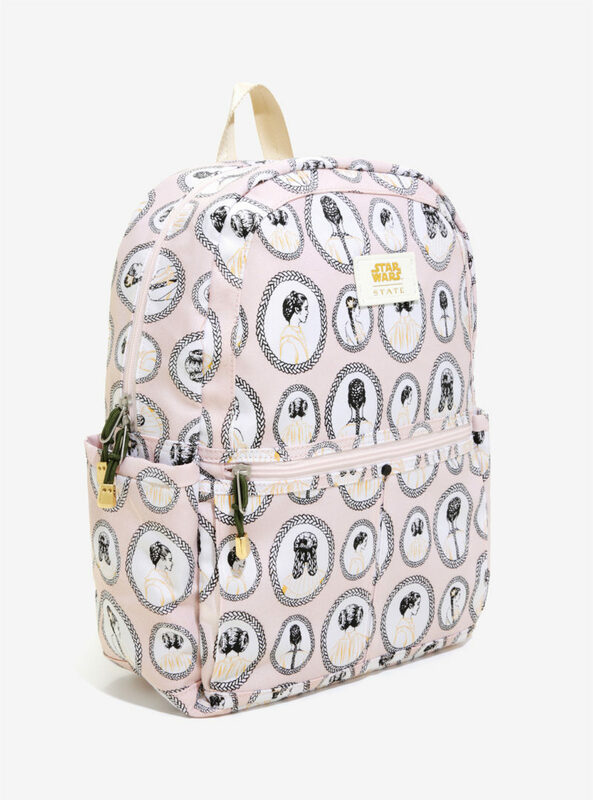 Constructed of pale pink tech canvas, State Bags’ Kane backpack features an allover Princess Leia cameo print that highlights several of her iconic looks and Rebel emblem print lining. The label’s signature children’s design, this style features comfortable padded shoulder straps and multiple pockets for maximum storage and organization. Zip front pocket, hook-and-loop side pockets, forest green bungee-cord zip pulls, daisy-chain loops at shoulder straps, gold tone hardware, interior laptop pocket, adjustable padded webbed fabric shoulder straps. 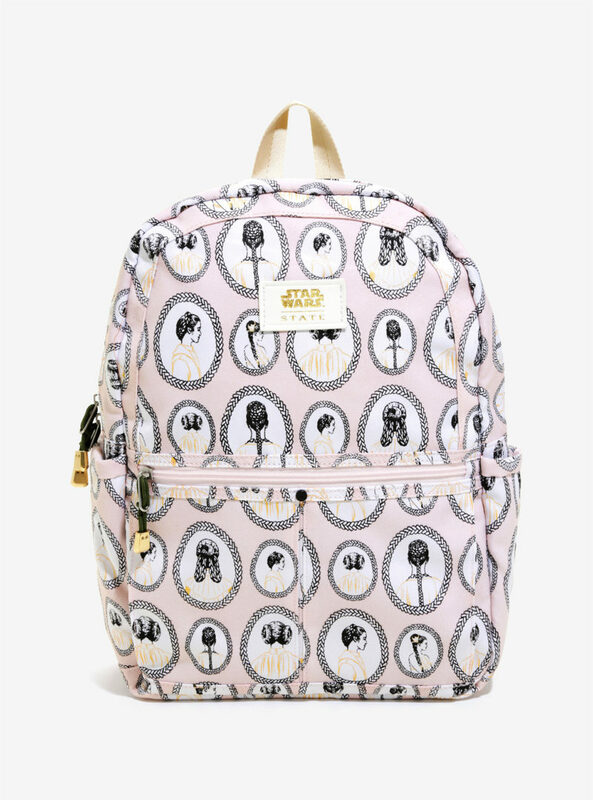 The backpack is priced at US$85.90 each – Box Lunch can ship internationally, which is great. Photos sourced from and belong to Box Lunch. Next Post Happy Holidays from The Kessel Runway!